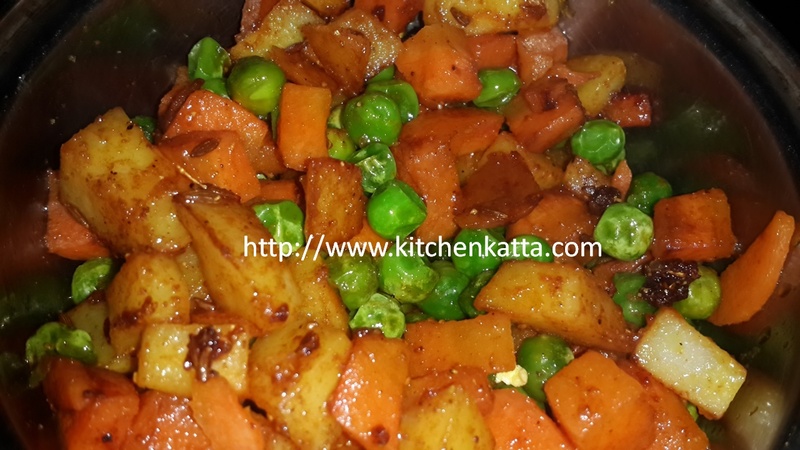 Today's recipe is a fusion one dish meal that is inspired through many cookery shows that I keep watching and my family's demands to cook something different. This simple yet tasty dish is prepared using routine ingredients available at hand. 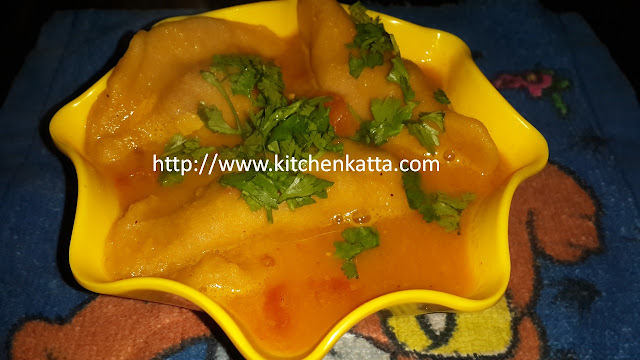 Try this and I am sure, this single dish will serve as complete meal for your family. 2. As it crackles add, potato, carrot and green peace. Cover and cook till all ingredients are soft. Do not over cook. 3. Add turmeric powder, red chilli powder, garam masala, sugar, salt and mix well. Saute for 2-3 mins. 1. 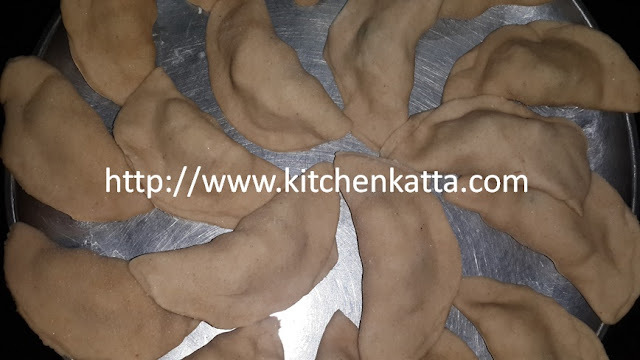 Divide the dough into equal portions and roll into small pooris. Keep the thickness to that of a chapati/phulka. 2. Add chopped tomato and fry till it softens. 5. Add cooked daal and add water to adjust consistency. 6. 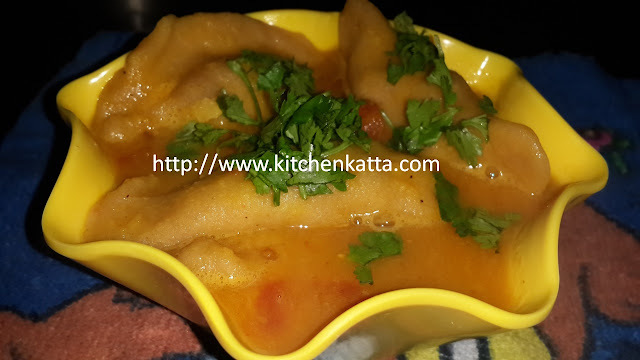 As the daal starts boiling, reduce flame, and start adding each stuffed dokali slowly. 7. Gently stir occasionally. Add water if needed to adjust consistency. Cover and cook for 5-7 mins on low flame till the dhokali are cooked.